The Celebration is FREE for members; $20 for Non-Members. 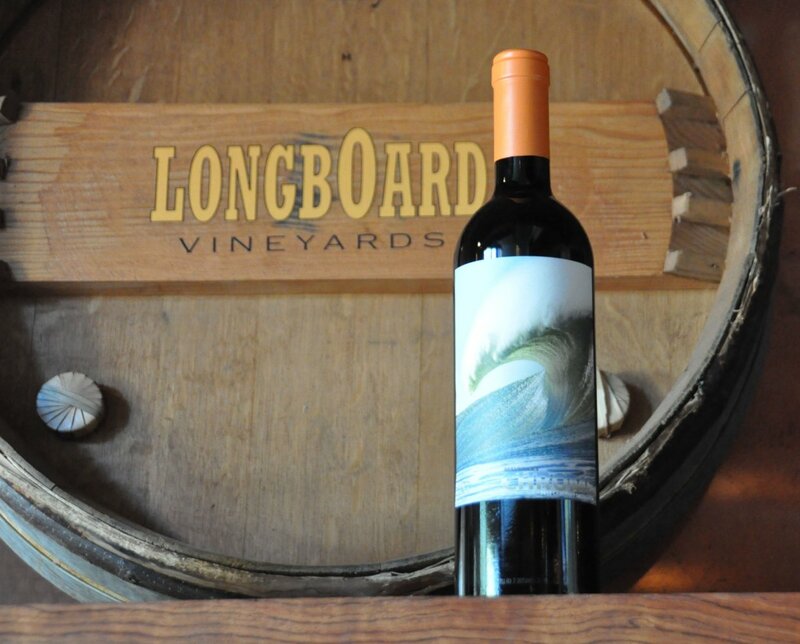 Wines for the Opening will be provided by Longboard Vineyards of Healdsburg. Also featured in the exhibit are rare “woody” wagons: a 1939 Packard and a 1948 Buick. From August 30 through October 28, 2018 in the Main Gallery, Napa Valley Museum Yountville will present: California Dreamin’. Melissa Chandon and Matt Rogers’ joint exhibition at the Napa Valley Museum Yountville embodies the idyllic “California Dream” of freedom and vitality. Paintings of palm trees, lifeguard stations, and woody-style station wagons carrying surfboards set against expansive blue skies capture the indelible collective memory of the relaxed, carefree beach lifestyle that took hold of imaginations around the world in the 1960s. With their vivid dream-like palettes and sense of light and air, Chandon and Rogers have each earned reputations for depicting the essential character of the Golden Coast. This exhibition – which also includes rare woody cars, surfboards and other elements of surf culture – unites the artists’ visions, celebrating a moment in time when the world collectively dreamed of the fun and sun of 1960’s California, and embraced its spirit of love, peace, and connection. Melissa Chandon and Matt Rogers are represented by Caldwell Snyder Gallery, a leading contemporary art gallery representing many of the most significant international painters and sculptors of the 21st century. In the Spotlight Gallery August 30 through October 28, 2018: Surfboard Artist Tim Bessell. 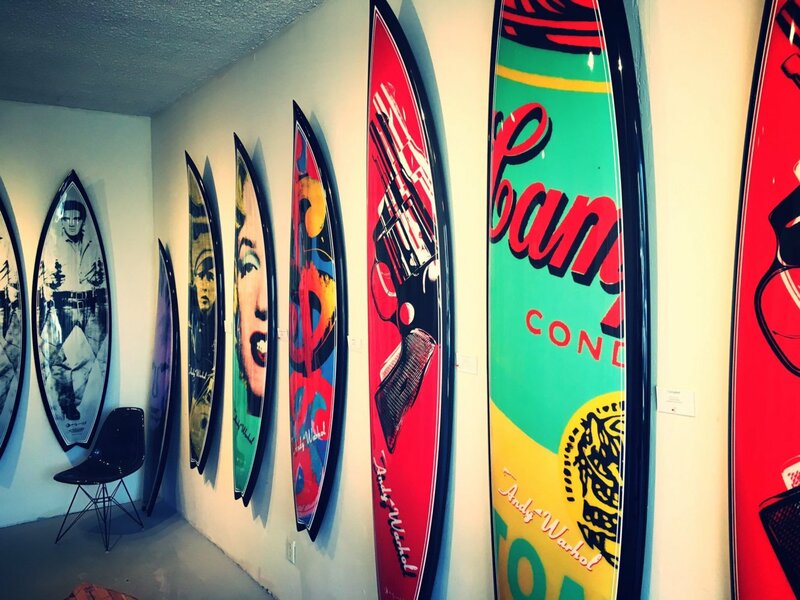 La Jolla-based contemporary California artist Timothy Bessell is known for the distinctive handmade surfboards he’s created throughout his career, having shaped more than 46,000 over the course of his lifetime.Bessell’s Artist Series surfboards pay homage to famous artists who have inspired him, including iconic pop artist Andy Warhol. Released in very limited editions, these handmade works, created in collaboration with the Warhol Foundation, take Warhol’s graphics and combine them with Bessell’s most popular surfboard shapes. Surfboards for sale during the exhibit will benefit the Museum’s arts and education programs.